Sneek Freak TV: Scoring on a Speedgoat! 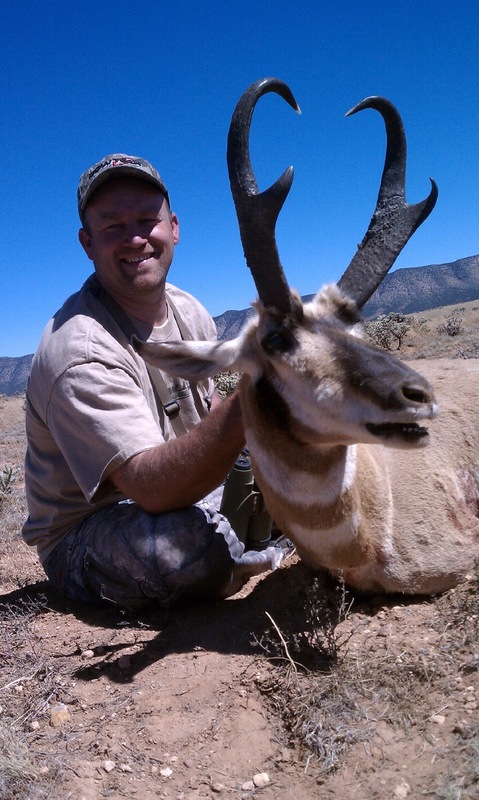 Being short of maximum bonus points and applying for one of the most coveted trophy antelope tags in AZ, the last tag I anticipated drawing this year was antelope. With limited time to scout and hunt, I knew I would need to rely heavily on information from friends who know the unit I had drawn. The year prior, my good friend Shane Koury guided his hunter to a 92" antelope in the same unit. Shane hooked me up with some good spots to check and day 1 found us glassing and passing 2 great bucks right where he had told us to go. Being still the first morning, we decided to pass and keep looking for the right goat for our "once in a lifetime" tag. The rest of that day we glassed just a few other bucks, but nothing even close to the caliber of the first two bucks. The second day of the hunt we had some tire problems with the truck that kept us out of comission until Sunday afternoon, the third day of the hunt. That evening we decided to go back and look for the tall buck, the bigger of the first two that we had found. We found him right away, and made a stalk. After getting to 500 yards, we were able to shoot a little video of the buck so we could study him better. It wasn't until we were back at the hotel watching the footage on the tv that we realized how big the antelope was. After several failed stalking atempts the following morning we finally had to call it quits. I had to go back home to work. After getting home I was excited to show Shane the footage of the buck we had found. He and good friend Josh Esparza could not believe I was home and not hunting this goat! They estimated him to be around the 85" mark. After failing all day to convince me to go back and hunt the goat for one more day, they spoke to my wife Aly, and convinced her to tell me to go. We left town at 3:00 in the morning the next day and were glassing the tall buck just after daybreak. After two more failed stalks, I was finally able to sqeeze off a shot and tag this great antelope. Special thanks to my friends Ben, Tim, Shane, Josh and especially my wife Aly. This would not have happened without them.